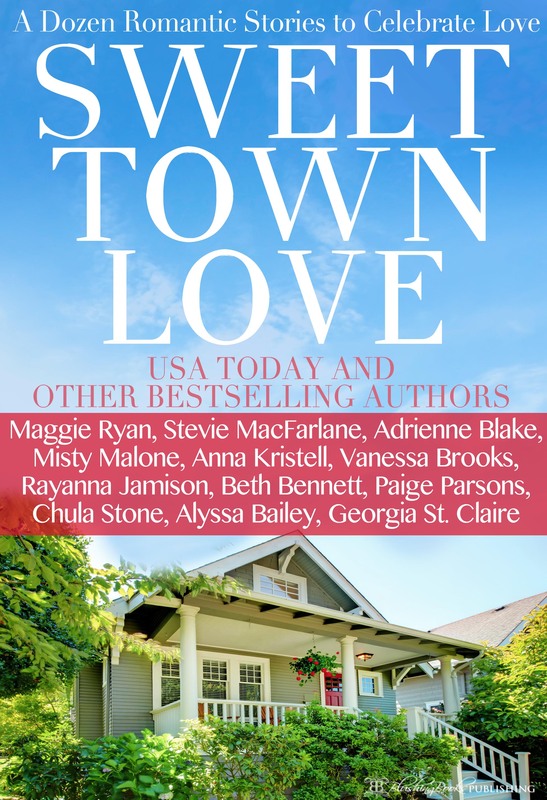 You won’t want to miss this anthology….read on to find out what it’s all about. Hi and welcome back to Anna’s world. In two weeks, I’ll be in Houston participating in the Indie Mashup! Wow! I got together with eight other authors who are attending and we put together an anthology. Each of us contributed a short story to give the readers a chance to sample each of our writing style. It’s a way to introduce ourselves to new readers but also to help out some veterans in the process. All proceeds from the ebook sales will be given to the Houston VFW Post 8790, which is where the book show is being held. We’ll have paperbacks, signed by all nine authors, for sale at the show. See any of the nine of us to purchase your copy. We’ll be the ones with flags at our table. We named the book Angels Sinners because that’s the Mashup theme this year for the tour. Nine Indie authors come together to give you a taste of their various flavors. Angels Sinners will warm your heart and have you on the edge of your seat. Whether it’s an angel or a sinner there’s something for everyone. Ebook proceeds will be given to charity for veterans who have given selflessly to their country. Angelica Raine is finally home. Sent away to Europe eight years ago by the father who was determined to turn his tomboy daughter into a lady, he had only succeeded in tearing her away from the two things that mattered most to his beautiful daughter. Rainbo Ranch was her home and she wanted nothing more than to run the family ranch with Shane Masters, the boy she left behind, by her side. Angel has come home, but with so many working against them, can she and Shane make their dreams come true or are they forever destined to be apart? How about a little teaser from Shane’s Angel? Shane Masters sat tall in the saddle of his chestnut colored purebred Arabian steed. His gaze roamed the vast spread of the prominent Rainbo Ranch and came to rest on the black Lexus that had just pulled up outside the main house. He watched with interest as the driver opened the back door and a stunning blonde emerged from inside the luxury vehicle owned by Shane’s employer, Bo Raine. So that’s Angel, he thought to himself as the corners of his lips turned upward slightly. Time’s been good to her. Thinking back over the years, he remembered Angelica Raine as a cute, pig-tailed tomboy who loved the ranch and the horses as much as he had. Growing up on the ranch where his father, Neil Masters, had served as Bo’s foreman for many years, Shane and Angel, as he had nicknamed her as a child, had gotten into many scrapes over the years but their mutual love of the horses and Rainbo ranch had formed a bond neither had ever imagined could be broken. Bo Raine had other ideas for his only daughter and heiress to the horse ranch he and his wife, Emma, had owned and operated since the early days of their marriage. No daughter of his was going to marry one of the ranch hands and be stuck in McKinney, Texas for the rest of her days. Oh no, Angelica was destined for greatness and on her sixteenth birthday he had gifted her with a trip abroad and an enrollment in a very prestigious private school in London. Kicking and screaming all the way to the airport, tomboy Angel had argued with her father and finally resorted to begging him to allow her to remain on the ranch and continue attending the local public high school. It was to no avail. Bo’s mind was made up. Even Emma, who had her handsome husband wrapped around her little finger, couldn’t persuade him to let their baby girl remain in Texas. The day Angel left the ranch was the day Shane decided that in order to win Bo’s approval, he would have to step up his game and make something of himself. And so he had worked hard, played baseball and eventually was rewarded with a scholarship to North Central Texas College, where he played ball and studied Equine Science. It was his dream to one day take over his dad’s job as foreman of the Rainbo Ranch, at least until he was able to start his own ranch. He would show Bo Raine that he was good enough for his precious Angel. Now eight years later, Angel was twenty-four, having finished the last two years of high school and another four years of college abroad. The past year she’d stayed in London to obtain her Master’s Degree in Business Administration. Her dream was to run the ranch. Her dad’s dream was for her to head a large corporation in the city. Snapping himself back to reality, Shane saw a gorgeous, tall young woman with long, blonde hair cascading in waves halfway down her back. Gone were the pig-tails and the cutoff denim shorts. The Angelica he saw today was sophisticated, grown up and every inch a woman. She was wearing a pink suit with a pencil skirt and matching jacket. An ivory shell and ivory heels completed the picture. As she looked around the ranch where she’d grown up, her eyes locked with Shane’s for just a second. The moment passed as one of the other ranch hands approached her. Shane seethed silently as he watched Bric Brimlow tip his hat and smile at Angel. The young man proceeded to take her luggage from the vast trunk of the Lexus and carry it to the house with Angel trailing behind. She didn’t look back at Shane. As she disappeared into the house, Shane turned his horse around and headed to the barn to check on the other horses. He needed some time alone. He’d seen what he rode up to the house to see. He’d seen his Angel, no longer a child, now a woman and a classy one at that. Had she changed otherwise? Or was she still his sweet friend from childhood? The only girl who’d ever held his heart in her hands just by smiling at him over a popsicle on a hot Texas summer day. He approached the barn and swung his leg over the horse’s back, easily touching the ground. Tying Charmaine to the post outside the barn, he walked quickly into the large building and began talking to the stock of purebred horses owned by the Raines family. Quarter horses and Arabians, each one pampered and trained to perfection. The Rainbo ranch had a reputation for producing some of the best race horses and sires around the state. “Here you go, Sugar,” he said softly as he began to brush the coat of one of the quarter horses. “That daughter sure is a looker, ain’t she?” a voice boomed behind him. “I assume you’re referring to Angel?” he asked as he turned and looked at Bric. “Angel? I believe she told me she goes by Angelica,” the other man replied. “Angelica and I go way back. Her childhood nickname was always Angel. I guess she’ll always be Angel to me,” Shane answered as he put the brush away, patted Sugar and stepped away from the stall. His bright blue eyes met Bric’s green ones with an icy stare. “As usual, who is it tonight?” Shane asked in an attempt to lighten the mood. An hour and a half later, the work was finished and one of the other hands arrived with food for the horses. Shane told Bric to have a good evening and went home to clean up. He lived with his parents, Neil and Christina, in a house on the back side of the ranch. It was smaller than the main house but was charming in its own right. It was one of the perks that came with being foreman. Bo Raine took care of his employees, unless they crossed him. He was not a man you wanted to be on the bad side of. “Mmmm what smells so good, Mama?” Shane asked as he opened the kitchen door after leaving his boots outside on the porch. “Married for a year and still likes to come home for Mama’s cooking,” Neil said as he leaned over and kissed his wife of thirty years. “Terri would do anything to get out of cooking,” Shane said with a chuckle as he headed up the stairs to take a shower. “Teresa is a good cook,” his mother said. She didn’t like the nickname Terri for her daughter even though Shane used it often. “Did I see the car bringing Angel home earlier?” Neil asked when Shane returned to the kitchen a short time later. “She’s likely to be a completely different person now, son,” Christina reminded him gently. “Bric likes the girls, we all know that. I don’t think it would be smart for any of the ranch hands to make a play for the boss’s daughter. He’s made it well known he has his sights set on something else for his darling baby,” Neil added. “Now, Neil, the kids were friends for a long time. I don’t see the harm in the two of them renewing that friendship,” Christina interjected in Shane’s defense. “Which puts poor Angel in the middle,” Christina replied as she began mashing potatoes. “Hey, family, I’m home,” a voice rang out as Terri entered the kitchen. “Just in time, Sis,” Shane said as he took the cake she’d brought and set it on the counter. “Angel got back today. We’re discussing what she may be going to do with the rest of her life,” Shane explained as his sister sat down at the table. “She isn’t a tomboy anymore,” Shane offered with a chuckle. “So have I, Sis, so have I,” Shane mumbled under his breath as their mother set the food on the table. “Enough talk about the Raines family. This is our family time. Terri, would you say grace for us tonight?” Neil said as he looked over at his daughter. “Sure, Daddy,” Terri said as she bowed her head to pray. After the supper dishes were done, Shane played cards with his family until Terri announced it was time to go home to her husband. Alone in his bed later, he allowed his thoughts to return to his Angel. She was his. She always had been. And he would be damned if he would let either his dad or hers do anything to jeopardize that fact.